Cesar A. Hidalgo ND ’08, will publish a book in June 2015 titled Why Information Grows: The Evolution of Order, from Atoms to Economies. Hidalgo earned a Ph.D. in Physics at the University of Notre Dame. He is an assistant professor of media arts and sciences at the MIT Media Lab and directs the Macro Connections group. 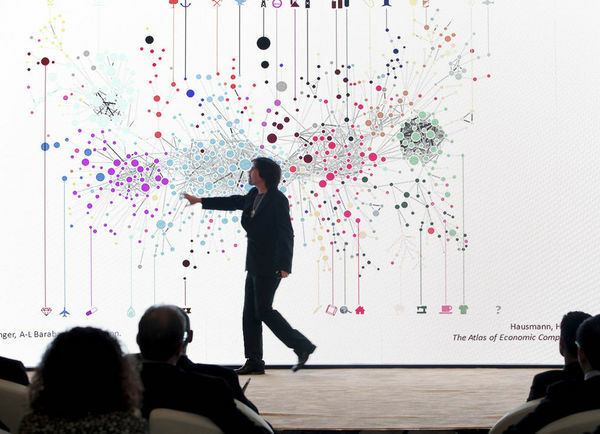 His work focuses on understanding the evolution of information in natural, social, and economic systems and on the development of big data visualization engines designed to make available unwieldy volumes of data. Hidalgo’s book discusses the nature of economic growth and its relationship with the social sciences, including the natural sciences, networks, and complexity. To understand the growth of economies, Hidalgo argues, we first need to understand the growth of order. For more information about Hildago’s book, please visit his website. Originally published by Jayme Russell at science.nd.edu on March 16, 2015.